No matter how many times the celebrity magazines tout it, I know celebrities are not like us. Case in point: They pick some really out-there baby names on their offspring. Here are my favorite unique celebrity baby names. 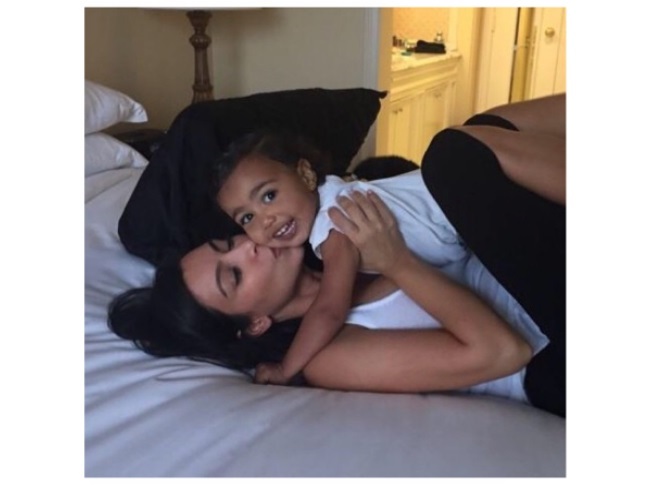 There’s nothing necessarily wrong with North as a name—unless, like Kim and Kanye’s baby girl, your last name is West. Then it’s a direction, not a name. Comedian/magician Penn picked this offbeat mix for his daughter, which regularly makes the weird celebrity baby name lists. This name feels like one that’d be picked by Prince for his child, but Lil’ Kim is the one who made this up. Jason Lee has a history of some pretty out-there baby name picks (including Casper for a daughter), but this is the wildest. At this point, actress Shannyn Sossamon is more famous for her son’s baby name than for her acting. Gwyneth Paltrow says she and Chris Martin picked it for the wholesome fruit, but I just think of iPods. Yeah, we get it, Nicolas Cage. You like Superman. But couldn’t you have gone with Clark or Kent? The weirdest part of this overly long name Uma Thurman bestowed on her most recent daughter? She actually calls her Luna instead. Everyone (except, apparently, Ashlee Simpson and Pete Wentz) knows that Brooklyn’s the New York City borough name du jour. And adding the Jungle Book character’s name doesn’t improve the situation. Buddy Bear Maurice, Poppy Honey Rosie, Daisy Boo Pamela and Petal Blossom Rainbow. Chef Jamie Oliver, we have one word for you: NO. John Mellencamp and Elaine Irwin gave their son a name that means “teeny-tiny piece.” Not exactly inspiring. Actor Rob Morrow gave his daughter a pun as a name. Nice. Rocker Frank Zappa is the granddaddy of all weird baby namers, and his name picks still set the standards.